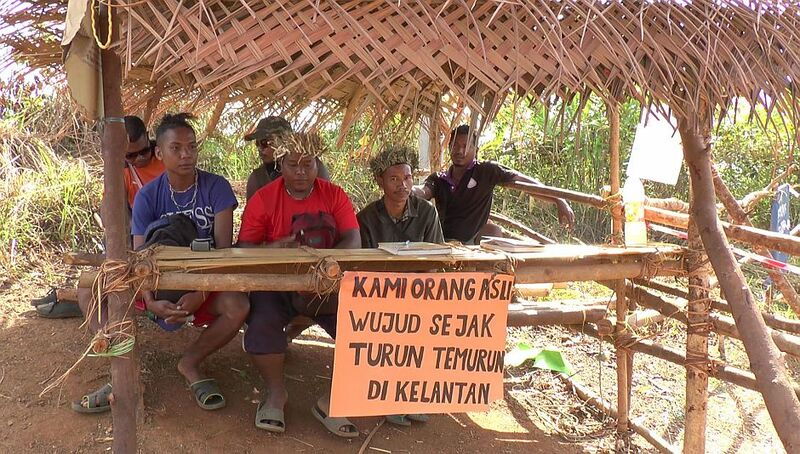 [UPDATED] Kelantan is the only state in Malaysia to not reserve land for the Orang Asli. Here’s why. It may be a Malaysia Baru, but the Orang Asli community might not feel it just yet. 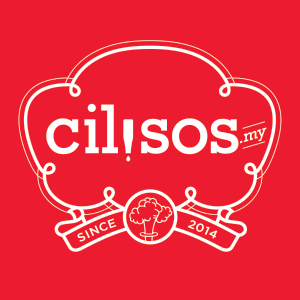 Long time readers of Cilisos would know that we cover the plight of the natives pretty often, from the disappearance of 7 Orang Asli kids during the 2015 Bersih rallies to the mysterious ‘serawan’ disease wiping out Orang Asli communities. 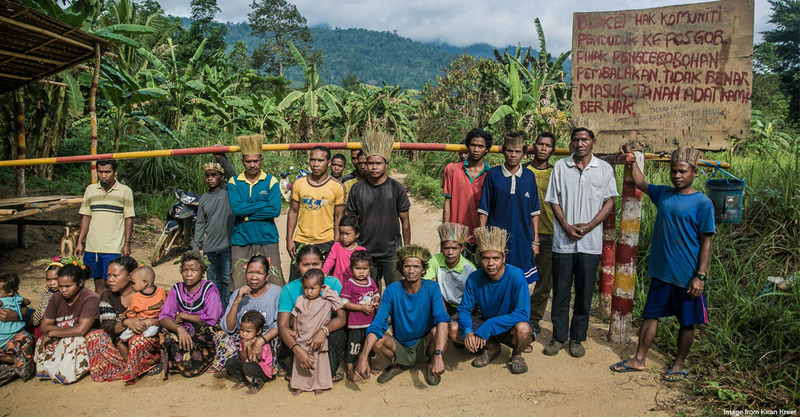 In late 2016, we also wrote about the Temiar Orang Asli community in Kelantan, and how they’re struggling to ward off loggers and developers taking over their ancestral lands. 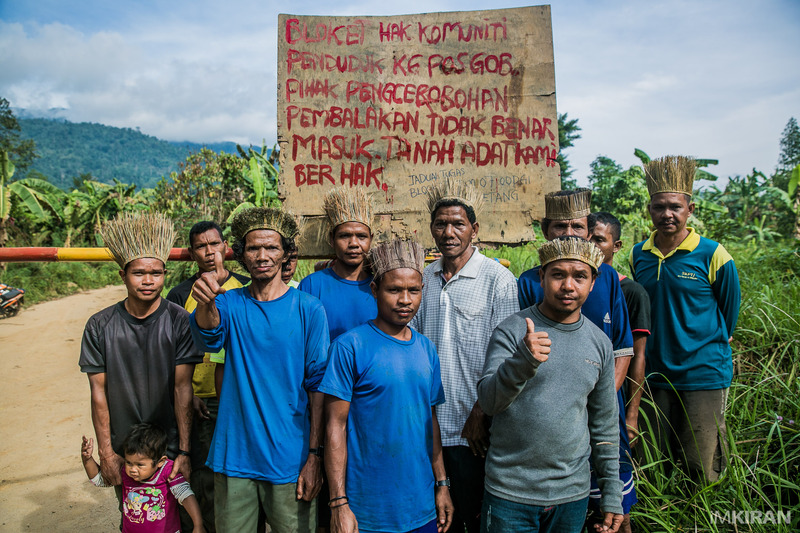 As it turns out, the fight is not only ongoing, but just got worst for the Temiar people. Within the last couple of weeks, the situation has gone from promising to disaster for the Temiar people. 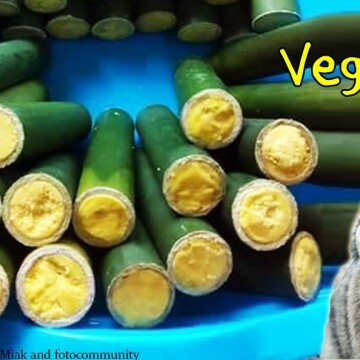 The loggers are back, and this time they’ve brought their friends from a durian company hoping to turn the flattened land into a durian plantation. As a way to fight back, the Temiars built a few blockades to keep out the loggers and developers from entering their land, and later seemed to have achieved some diplomacy with the loggers, with the developers asking for a meeting with the natives to settle the land. However, it wasn’t long before the developers returned with about 50 men in trucks, tearing down the natives’ blockade. According to the Orang Asli, the people waiting to use the land as a durian plantation were the ones behind it. Could you imagine, just chilling at home one day when suddenly a bunch of people show up saying that they want your house for their business? And when you close the door on them, they respond by breaking down your door? Well, that’s pretty much what’s happening in Kelantan for the Orang Asli folk. 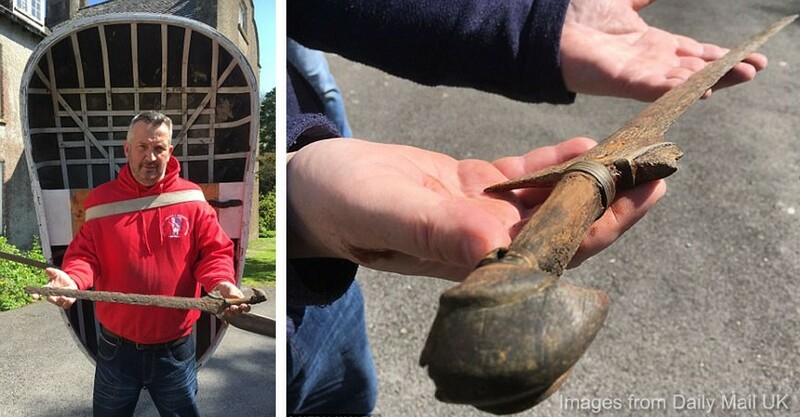 Like, wtfbbqptptn, how could this even happen?! The Temiars have been arguing with the Kelantan state govt for years, and yet their situation hasn’t improved. 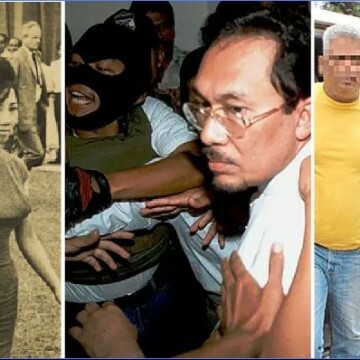 In fact, you might have learned about their land issues before thanks to an infamous activist/lawyer who’s often found on their side – Siti Kasim. Going back even further, in 2013, Suhakam also called for the national govt to help the Orang Asli get their land gazetted and reserved, which is what should’ve done according to the Aboriginal Peoples Act 1954. Despite that, until now, Kelantan has not designated any land in the state as an Orang Asli reserve. The Department of Orang Asli Development (JAKOA) has also made the same call, wondering why there’s still no Orang Asli reserve in Kelantan when there should be one at least 5000 hectares big. 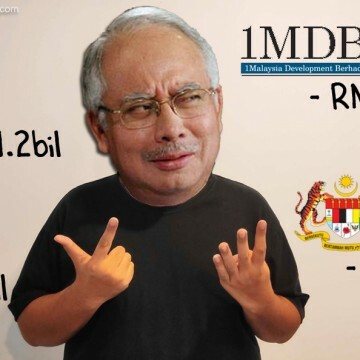 The Kelantan govt has responded to the controversy- well, um, sorta. 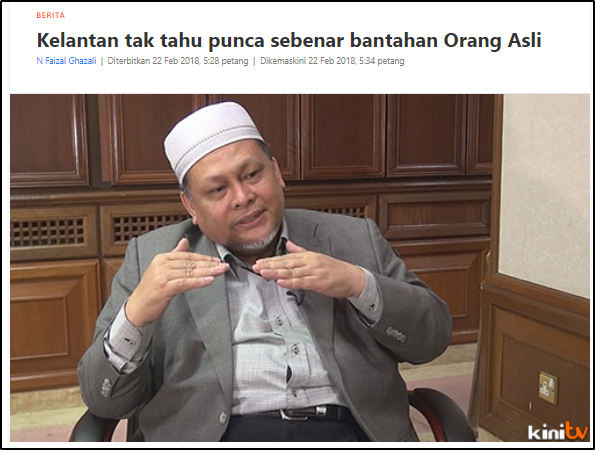 According to Deputy Menteri Besar Datuk Mohd Amar, they ‘don’t know why’ the Orang Asli are protesting. The main reason why Datuk Mohd Amar says so is that the state govt believes that almost all land in Kelantan are actually reserved for Malay people based on the Malay Reserves Enactment (Kelantan) 1930. Workers in today's Malaysia have less power than we did back then. Here's how it happened. However, Che Ibrahim Mohamed, the deputy president of Amanah Kelantan, has defended the Orang Asli community. Che argues that the Malay reserved land enactment cannot be used in this context, as the Orang Asli have been living in the area even before the enactment was drafted out. Just last month, the Kelantan state govt again issued a statement that kinda sorta says they will (eventually) form an Orang Asli reserve, and that it’s not their fault for the delay. Datuk Mohd Amar, when talking about the Orang Asli land controversy, said that the Land and Mines Department of Kelantan is the reason why there’s still no action taken when it comes to gazetting an Orang Asli reserve. 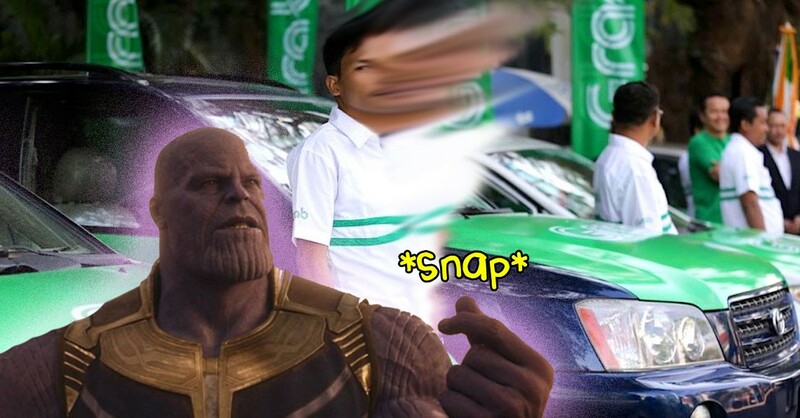 Never bite the hand that feeds you right? 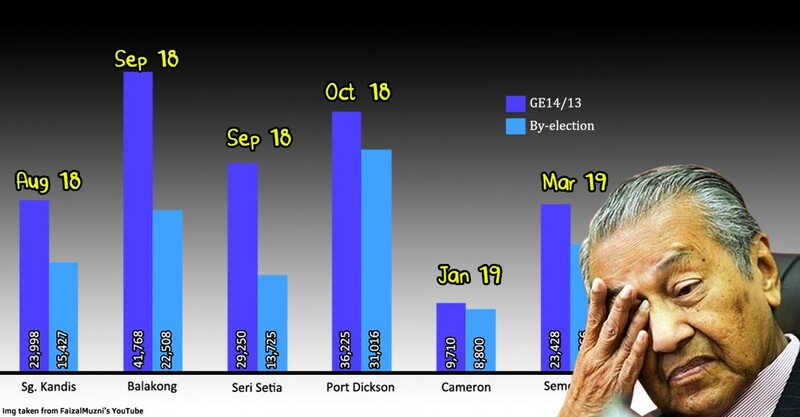 Well the big hand that’s feeding Kelantan’s coffers at this moment in time are the loggers. Don’t just take our word for it tho – the Kelantan State Forestry Department pretty much confirms this. The permanent forest reserves in Kelantan are usually the ones that get logged down by logging companies. In order to log there, the loggers need to pay a premium to the state govt. But the loggers also often chop down areas other than the permanent forest reserves, and they can do so by getting a license from the state govt. 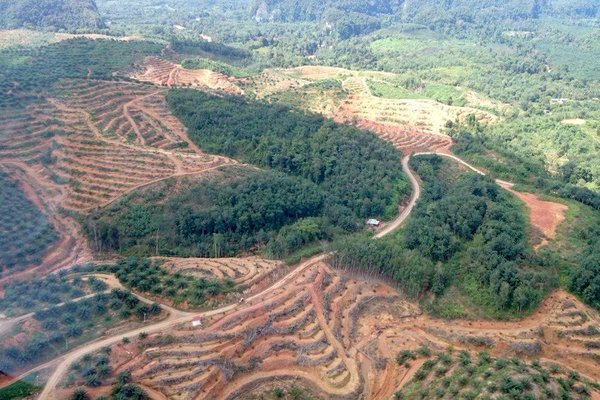 Somehow, despite legally the land being under the Orang Asli folk, the state govt has given loggers a license to chop down the Orang Asli’s land and the durian company license to start a durian plantation there. So right now while the land belongs to the Temiar community, the developer and logger’s right to chop down and develop the area is also technically legitimate. However, in some weird sense of deja vu, a similar incident where both parties had the rights to the land happened back in 2011. 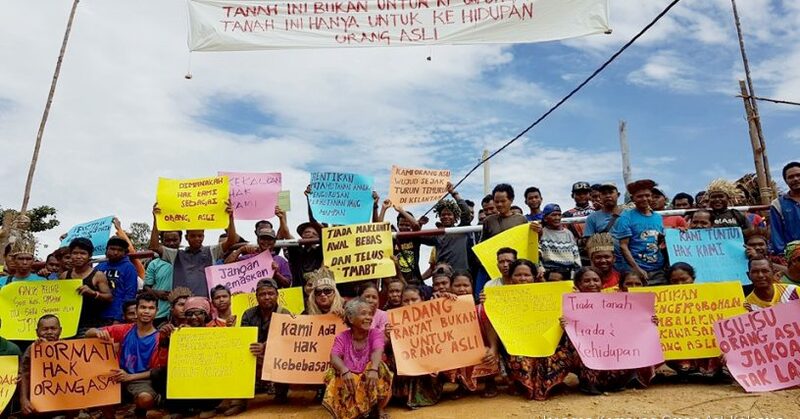 A group of Temiar people in nearby Pos Belatim found that their land had been licensed out to a plantation company. They took them to court and the court ruled in favour of the Orang Asli, meaning that they managed to keep hold of their land. Mat Taib is joining UMNO? 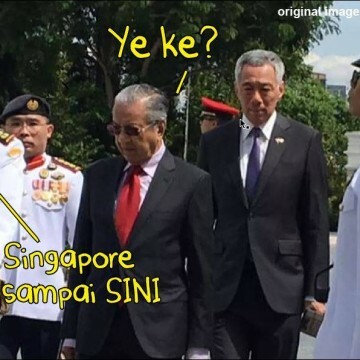 Who is he, and why is Umno making it such a big deal? Dr M and Pakatan Harapan’s unexpected victory at GE14 could mean that Kelantan will no longer need to approve that many logging licenses, which might just indirectly save the Orang Asli community from having their land chopped down. 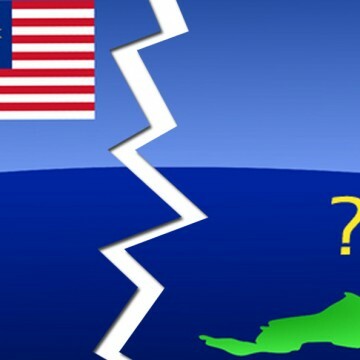 When Harapan launched their alternative version of the 2018 Budget last October, one of their proposals caught the eye of those in the east coast. 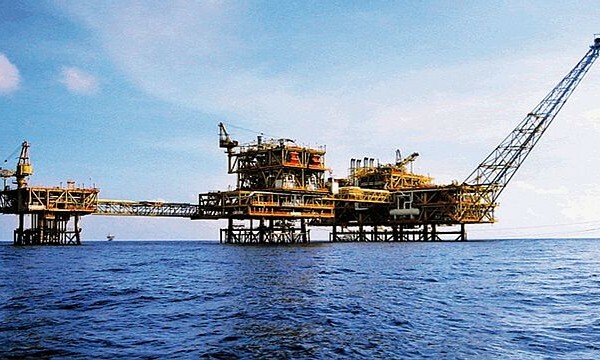 If they won GE14 – which they did – their govt would offer a 20 percent royalty to oil-producing states, which includes, you guessed it, Kelantan. Of course, some people would tell you that just because they promised it doesn’t mean that they’ll deliver on it. 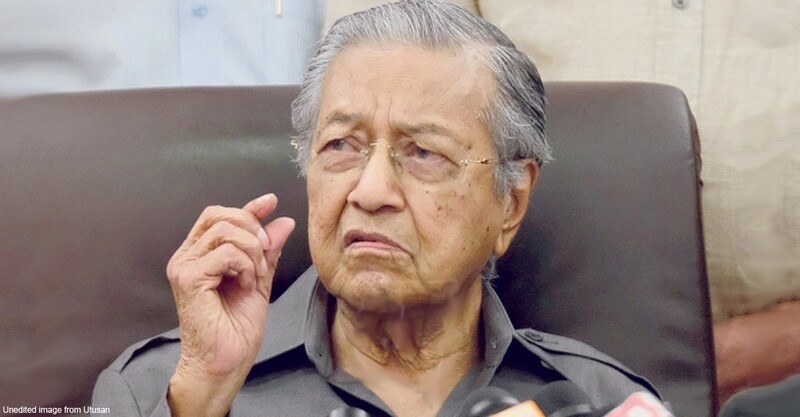 The UEC controversy remains ongoing for example while some are questioning if Mahathir’s appointment into the Khazanah board goes against their election manifesto. There’s even a literal website called the Harapan Tracker dedicated to looking out on Harapan’s pre-election promises. As for this specific promise, it took some persuading from PAS, but the federal govt has since agreed to proceed with paying the 20 percent royalty to Kelantan. That’s going to be a lot of money for the Kelantan state govt, especially when you consider that they’re the only oil-producing state in Malaysia to not receive any royalty whatsoever before this. Hopefully, the new funds for Kelantan’s coffers could mean an end to the Orang Asli’s land issues. 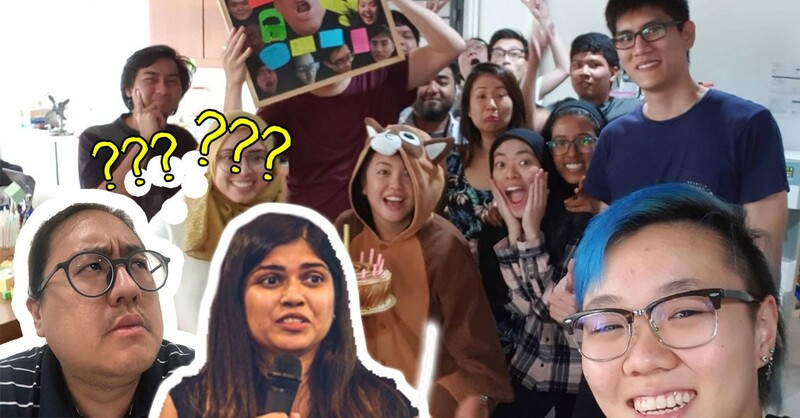 In a time where people are celebrating change and moving forward, it might be quite a shame if we leave out the Orang Asli in our Malaysia Baru. There are three types of people in this world: people who can do math, and people who can't.